What creates HOPE in your life ??? How can you create PATHS to fulfill that hope? What SUSTAINS that hope in your life ?? HOPE is a necessary part of that day. Hope is crucial to retaining enthusiasm for life during that day. 2. to expect with confidence . Hope is an ACTIVE process of keeping my life in a positive frame of reference. and in each song i listen to. If the movie, book, or song seems to lack hope, i quickly drop it; i do not finish it. And only those items which convey a strong note of hope (in some manner) are retained in my library. than time with friends who no longer have hope in their perspective. … Otherwise the relationship drain becomes too costly for myself. so i strive to keep hope in each part of EVERY day. 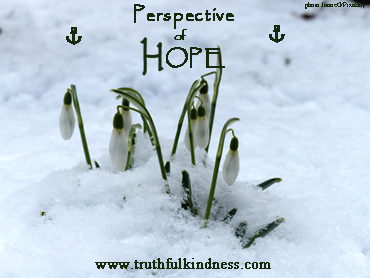 I cannot afford to lose sight of hope in my perspective. because the avenues of their experiences do not match our own. so that becomes our context. Ideally, what would you like to hear there, about your “fulfilled” life ? This was my major tool for determining what my own “fulfilled” life would look like. and finally (but crucially important) … seen and unseen. So my “hope” is for opportunities to fulfil that goal in various ways. because relationships are what make life worth living. i prioritize my time, funds, and energy with that goal as very high priority. Above is my own answer to the preface questions. What creates true hope in YOUR life ??? * Admin issues: SHARE dementia awareness thru buttons below. Feel free to leave your thoughts in the form of comments, but please filter your comments with truthful loving kindness to all concerned. If interested in receiving notice of future blog postings, subscriptions are available through a “follow” button in the upper left corner (MS Explorer) or lower right (Safari, Mozilla Firefox and Chrome). If there is an advertisement below, I have no control over what is shown. My own full legal name is Truthful Loving Kindness. My current diagnosis is still Mild Cognitive Impairment, but my neurologist said I am in a unique position for helping because I have “one foot in each door”. Text Copyright © Truthful L. Kindness 2019Jan21. Blog entry began 11Jan2019 and finished text on 21Jan2019. Tags are: dementia, goal, hope, perspective, PLwD, strategy. This entry was posted in Action request, Crucial, Important, Journal, Spiritual Aspects and tagged dementia, goal, hope, perspective, PLwD, strategy. Bookmark the permalink.